The club encourages and supports our team managers and coaches in continuing their own formal development as football coaches. 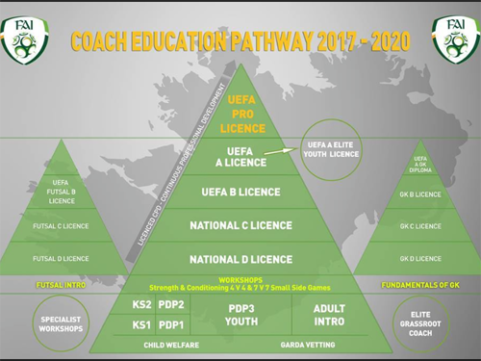 A lot of this structured learning is through the internationally standard FAI coach development programmes. The club would ask that coaches who haven’t done a course in a while, to attend one of the course below and update their knowledge. Please check the requisites for each course and make sure the course is at the right level for where you are on your coaching journey.